Note: Because of the urgency of the of the hour, I am listing Bennett College First. All other colleges will fall alphabetically after today. Bennett College prepares women of color through a transformative liberal arts education to lead with purpose, integrity, and a strong sense of self-worth. 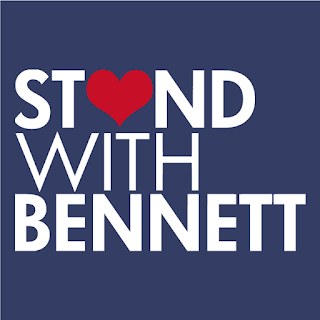 Bennett provides educational access to students while promoting inquiry, civic engagement, social justice, lifelong learning, and equity for all. Bennett College is renowned for its intimate, engaging learning community that produces phenomenal women scholars and global leaders. Bennett College’s undergirding philosophy is that a high quality college experience should provide its women students with strong academic and co-curricular programs that encourage their personal development, endorse life-long learning, and prepare them to meet the needs of an ever-changing society. Bennett College values and respects every member of its community. As a United Methodist Church-related institution, the College believes that education should be related to humanitarian ends. Reflecting its heritage as a traditional 1890 land-grant institution, Alabama A&M University (AAMU) functions as a teaching, research, and public service institution, including extension. AAMU is a dynamic and progressive institution with a strong commitment to academic excellence. The serene, intimate campus is situated on “The Hill,” only a short distance from downtown Huntsville, the site of the school’s founding. Alabama State University’s 148-year history is a legacy of perseverance, progress and promise. The ASU movement began with the impetus to establish a school for black Alabamians. The Civil War resulted in not only the end of slavery, but also in the opportunity for blacks to have the right to education. With the Northern victory, black Southerners, with the assistance of Northern white missionaries and the leaders of African-American churches, set out to establish educational institutions for the freedmen. ASU was born in that movement. ASU is the global entity it is today because of the fortitude of nine freed slaves from Marion, Ala., who sought to build a school for African-Americans previously denied the right to an education. The foresight of these men, now remembered as the “Marion Nine,” created what is now known as Alabama State University. The Marion Nine included Joey P. Pinch, Thomas Speed, Nicholas Dale, James Childs, Thomas Lee, John Freeman, Nathan Levert, David Harris and Alexander H. Curtis. These co-founders and original trustees, with assistance from Marion community members, raised $500 for land, and on July 18, 1867, filed incorporation papers to establish the Lincoln Normal School at Marion. Albany State University will be a world-class comprehensive university and a powerful catalyst for the economic growth and development of Southwest Georgia. ASU will be recognized for its innovative and creative delivery of excellent educational programs, broad-based community engagement and public service, and creative scholarship and applied research, all of which enrich the lives of the diverse constituencies served by the University. Albany State University will aspire toward excellence in teaching and learning, thus becoming the first-choice institution for students from southwest Georgia and garnering recognition as a premier southern regional university. As a historically black institution and led by a highly-diverse faculty and staff, Albany State University will embrace diversity in all its forms – including age, gender identity, race and ethnicity, country of origin, religion, ability level, sexual orientation, and veteran status – and seek to foster a similar acceptance and celebration of that diversity. As an access institution, Albany State University will promote student success for all by welcoming students from varying levels of academic preparation, keeping costs low, offering flexible class times and instructional modalities, and pairing high student expectations with exceptional mentoring, advising, and tutoring. Albany State University will recognize and address the many challenges that face African Americans and other students of color, adult learners, first generation students, students from low socioeconomic backgrounds, and others from underserved populations, and form strong partnerships with K-12, government agencies, and community outreach organizations to increase access and success rates. As part of its commitment to teaching and learning, Albany State University will promote economic development in Albany and throughout southwest Georgia by engaging in applied research, aligning its resources in support of identified needs, developing and enhancing academic programs to meet evolving needs, forming broad strategic partnerships, supplying a trained workforce, and fostering a sense of entrepreneurship.